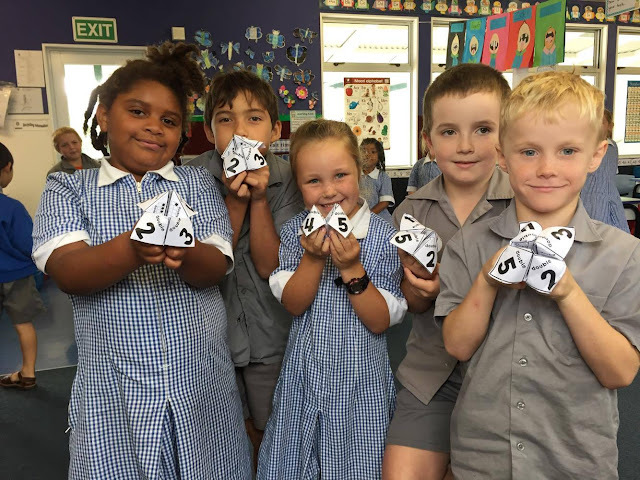 Room 3 Classroom Blog: Maths is fun! This week the children in room three are being hands on with their maths and have created these awesome recount 'finger flippers'. They have been using these to help the other children in the class practice their doubling. The children loved the responsibility of leading their peers as they got to challenge their classmates by using their own 'finger flippers' they had made.